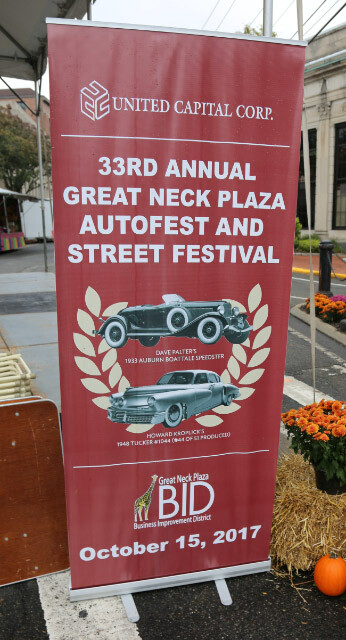 The Tucker 1044 and a 1933 Auburn Boattail Speedster were the two featured automobiles at last Sunday's Great Neck Plaza AutoFest and Street Festival. 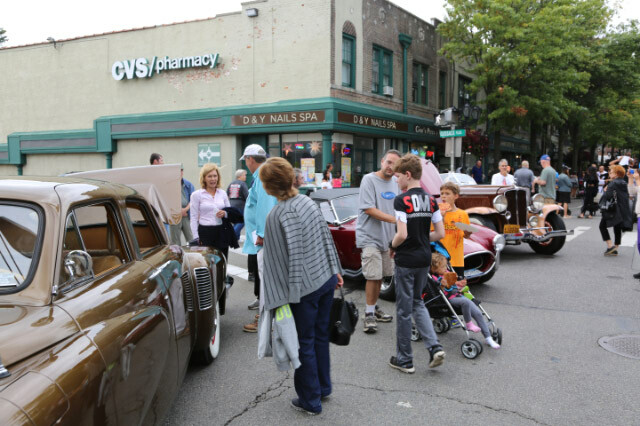 As described in today's Great Neck News, the display of vintage automobiles and the festival drew thousands. A great time was had by all! David Palter sat in his folding chair in the middle of Great Neck Plaza with pride as thousands people passed, stopping to take a look or take photos. 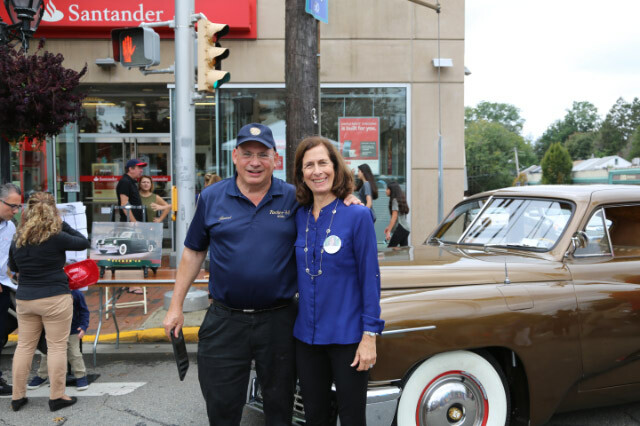 Palter, from Queens, was not the focus of attention, but the 1933 Auburn Boat Tail Speedster he brought to Sunday’s Great Neck Plaza AutoFest and Street Fair was. This wasn’t Palter’s first foray though. He said he has been bringing his car to the event for the past five years. 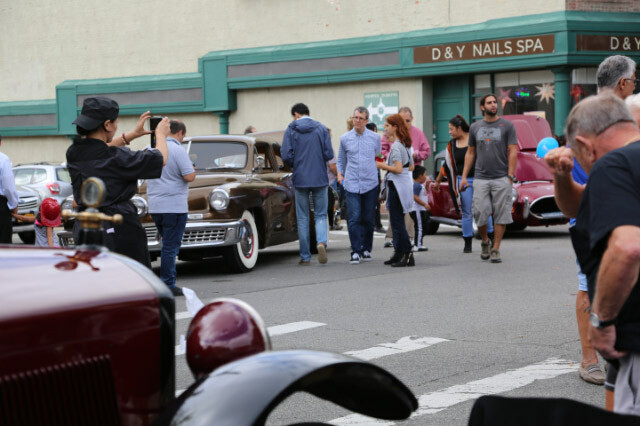 His car and over two dozen others were the main attraction at the annual event, which is in its 33rd year. 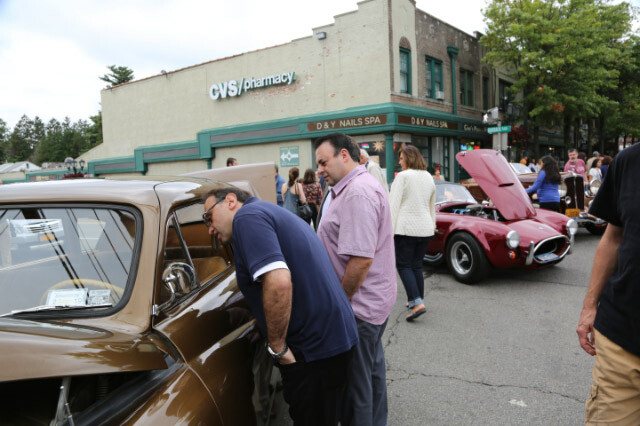 The various makes and models of cars, ranging from Model Ts to the Batmobile, were parked in the middle of Middle Neck Road, which runs through the Village of Great Neck Plaza’s downtown. Howard Kroplick, 68, of East Hills, admits he has a love for cars and enjoys showing off the seven cars he owns. This time he brought his caramel-colored 1948 Tucker, a pilot production car and one of only 51 built. The car’s unique aerodynamic design and the trunk located in the front of the vehicle caught the eye of many. 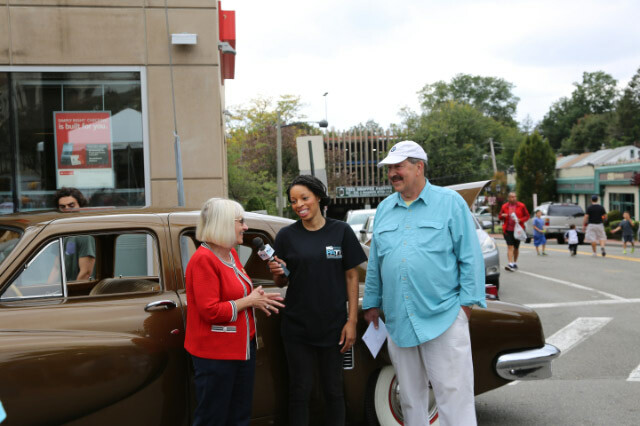 During the event, if people were not looking at the cars, they were listening to live music, playing carnival games or shopping. Jay Corn, vice president of the Business Improvement District of Great Neck Plaza and chairman of the event, said that is one of the reasons the group organizes events like this and others throughout the year at Great Neck Plaza. Corn said the events are intended help local businesses make money after they have lost a competitive edge to big box stores and online shopping. While Corn said the idea is to help drive shoppers to businesses in the Plaza, some businesses have not seen the results. David Flair, owner of Flair, a shoe, clothing and accessories store in Great Neck Plaza, said it looks good for the day of the event, but after that there is no increase in people spending money at his business or in the village. Corn said that is not the district’s fault, and the event should be looked at as an opportunity. “Are they using this to their advantage, handing out promotions to people to give them a reason to come back?” he said. But the people in the crowd seemed to be enjoying themselves, whether they were spending money in local stores or not. Corn believes the event continues to draw new visitors every year. “It’s all good stuff,” he said. State Senator Elaine Phillips checking out the Franklin "helicopter" engine. Dave Palter's 1933 Auburn Boattail Speedster ican be seen in the background. Dave Palter and Jay Corn,chairperson for the Great Neck AutoFest. Courtesy of Nancy Corn. 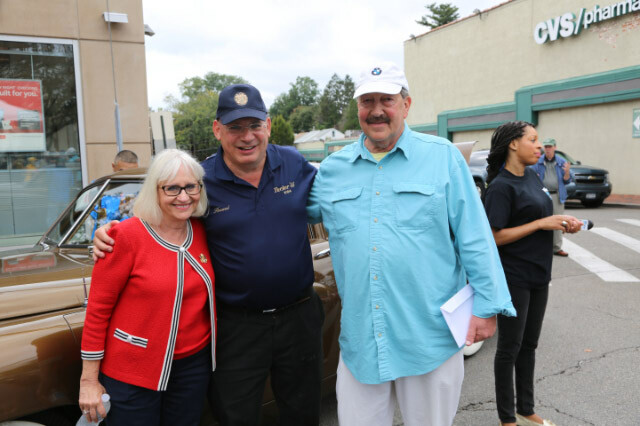 Town Supervisor Judi Bosworth (left) and Great Neck AutoFest chairperson Jay Corn (right). Nassau County Legistor Ellen Birnbaum.